Amazon has announced it will open a new warehouse in Daventry, creating 300 permanent jobs. The new ‘Fulfilment Centre’ is part of Amazon’s project to expand its network in the UK which the online retailer says will meet customer demand, increase its product selection and support more third party Marketplace sellers. 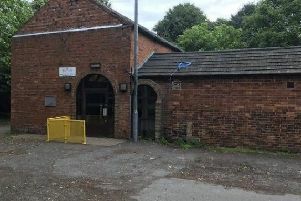 The firm has not yet said where in town the new centre is, but it is understood to be in an existing unit that the company will re-fit to suit its needs. “We look forward to welcoming 300 new recruits to the Amazon team with competitive wages and comprehensive benefits starting on day one,” said John Tagawa, Amazon’s vice president of UK operations. Amazon will later this autumn begin recruiting for a range of positions for the Daventry fulfilment centre, from operations managers to engineers, HR and IT roles to people who will handle customer orders. People interested in applying should visit www.myamazonjob.com/opportunities. Councillor Colin Poole, Daventry District Council’s economic, regeneration and employment portfolio holder, said: “Amazon’s announcement today for a new fulfilment centre in Daventry and more than 300 permanent jobs is fantastic news for our local area.